10 Jun 2018 — Australia’s favourite Rock ‘n Roll Border Bandits HAMMERS, have clocked up an impressive first year since a line-up change mid 2017. Supports with Cog, Dead Letter Circus, Black Rheno and Captives, an invitation to play Brisbane’s much revered Dead of Winter Festival, plus their nomination for Video of the Year at Gold Coast Music Awards have placed the lads in good stead for another big year ahead. 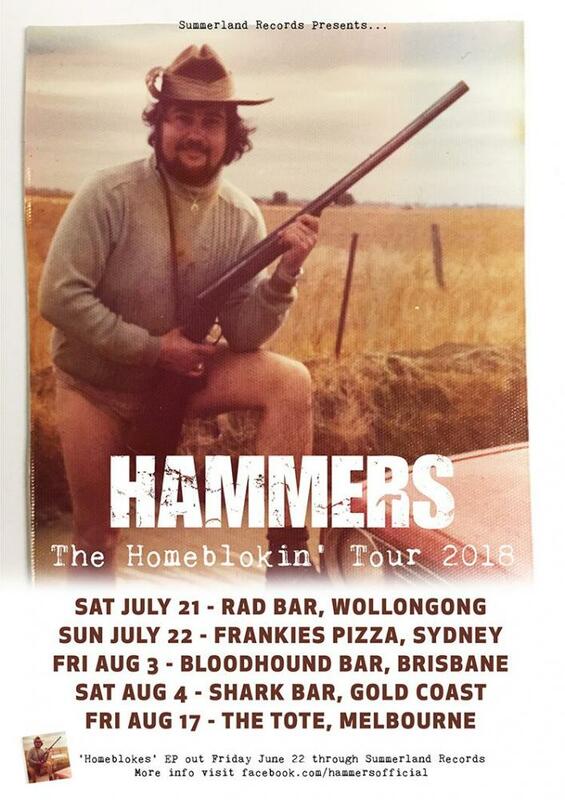 HAMMERS‘ Homeblokes EP is live to pre-order now and will be released June 22nd on Summerland Records.